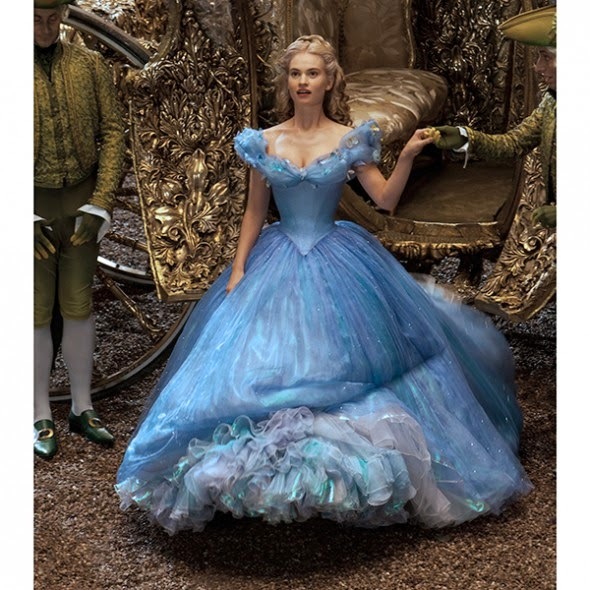 This weekend, I managed to persuade Tall Daughter to come to the cinema with me to see Cinderella, the new Disney live action version. I say persuaded, but chocolate was promised, so you could call it bribery. We loved it, it's a very charming version of the traditional tale with a terrific cast. Downton Abbey's Lily James is also perfectly cast as the sweet Cinders, and Cate Blanchett is fabulous as the wicked step-mother. I couldn't help thinking that whoever designed Cinderella's beautiful ballgown had taken some inspiration from one of my favourite Ladybird books, at least I'd like to think so anyway.